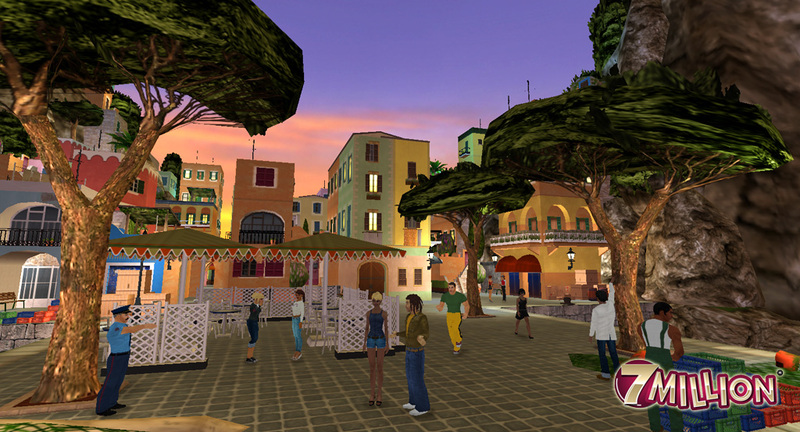 Seven Million was a massive multiplayer online RPG playing in a large streaming 3D city environment. 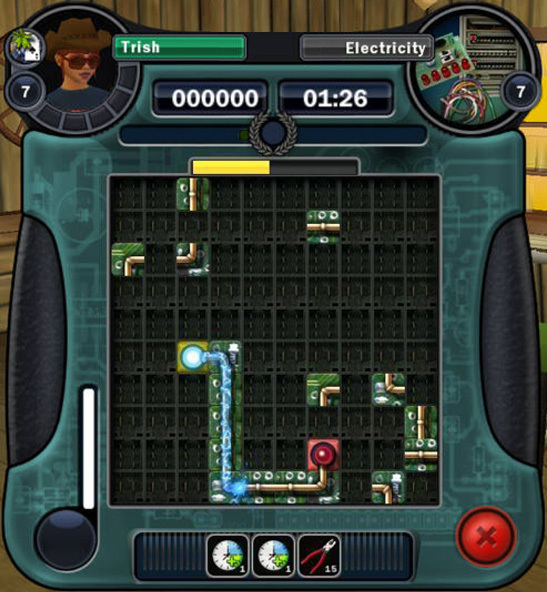 The goal as a player was to play missions, breaking into different locations and stealing valuable items. 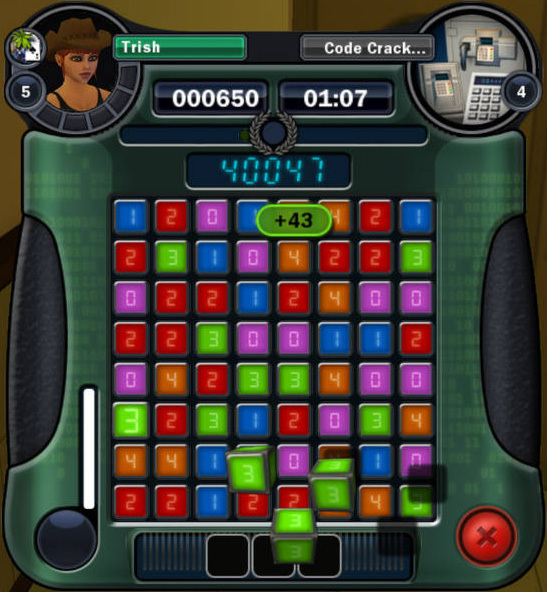 It was targeting casual gamers and therefore meant to be playable with moderately powerful computers. Because of that it was necessary to create many pretty low polygon models. 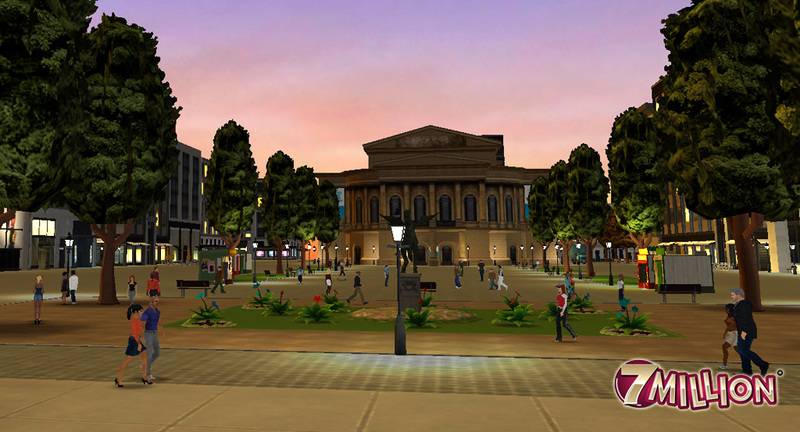 For every district there are different buildings, vegetation, props, and characters. 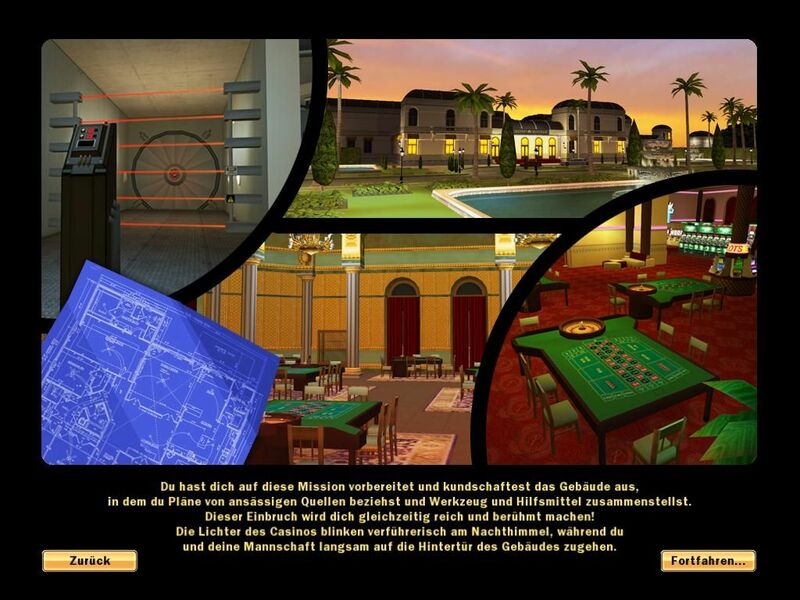 Another major part of the game were the indoor locations. 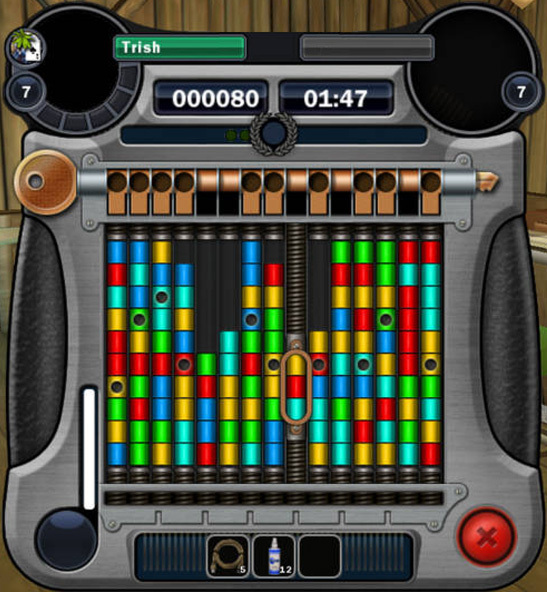 Many dozens of different sets with special unique assets were created. 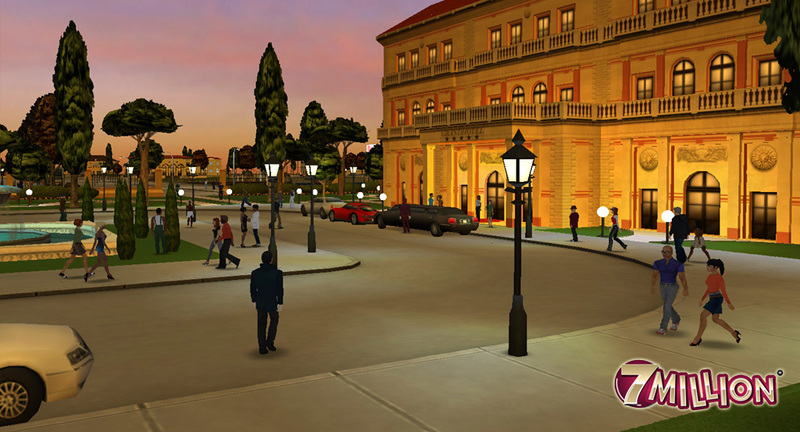 Among these are for example: grocery store, different apartments, museums, modern and classic casinos, banks, hotels, science facilities, prison, and many more. All the parts were constructed to be modular and fit into the grid system. 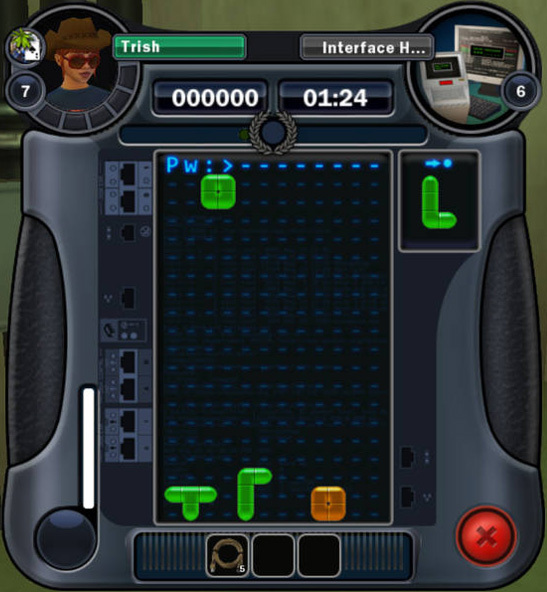 That way it was possible to build a large variety of levels and environments with our custom level editor. 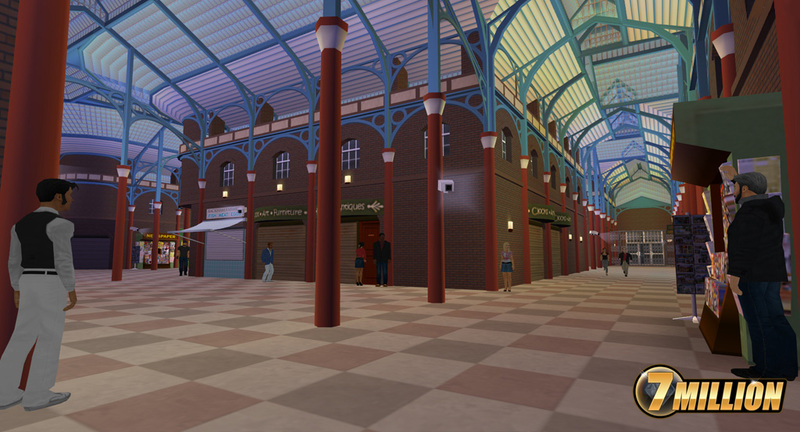 The market hall is actually an indoor environment. Apart from modeling assets and painting textures I was also responsible to visually revamp the already existing but not so attractive initial versions of the minigames. This was a job that I enjoyed a lot. 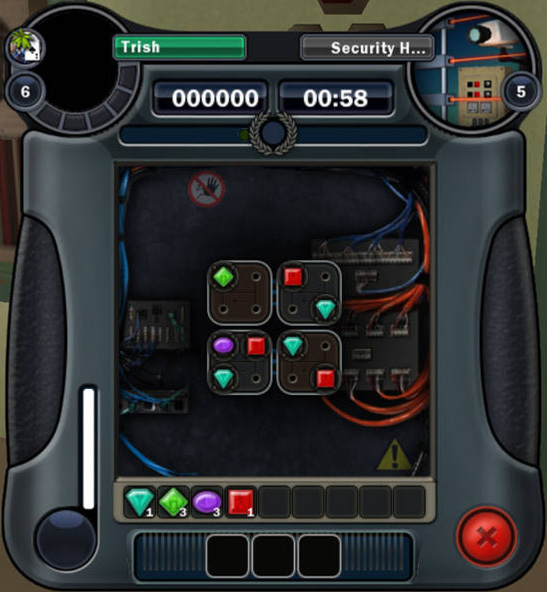 There were five of these minigames representing five different actions in the game: Code cracking, Lock picking, Interface hacking, Security hacking, and Electricity. My goal was to both work on the graphic style and the gameplay mechanics to fit each topic as much as possible. That's why in the end all games also look and play very different.